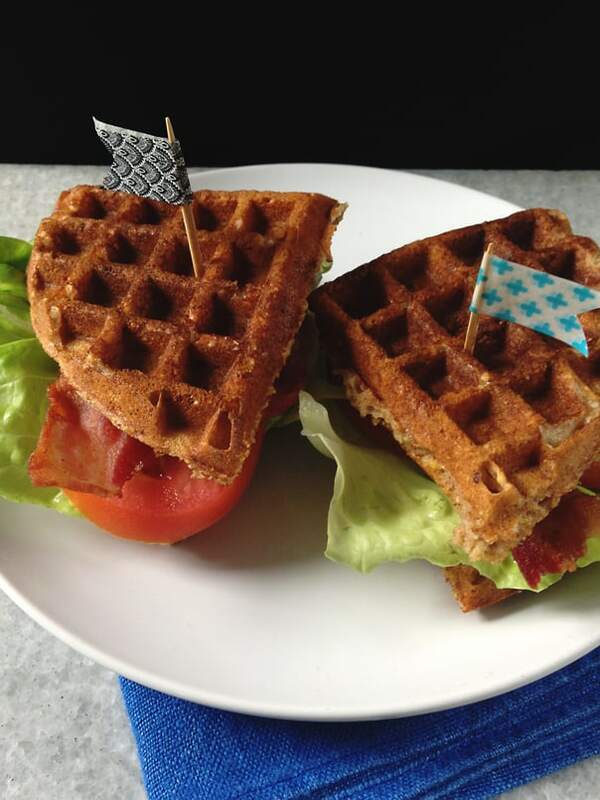 These 10-Grain Waffle BLT Sandwiches are a delightful way to have breakfast for dinner. 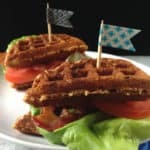 Make whole grain waffles and turn them into sandwich bread for the ultimate bacon, lettuce and tomato sandwich. I recently attended a fancy PB&J party. The rules for the party were that each person had to bring a beer and an ingredient for a peanut butter and jelly sandwich. The table was covered in all kinds of condiments from pickles to white chocolate chips. There was Nutella and almond butter and crunchy JIF. There was grape jelly, fig preserves and honey. 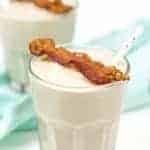 There were strawberries and bacon and bananas. Everyone compiled their sandwich onto all kinds of bread and then warmed it a waffle iron. Yes, a waffle iron. That party got me thinking about the final recipe for the Hot for Breakfast collaboration because this week’s theme is breakfast for dinner. Why couldn’t I make a waffle sandwich but with different ingredients? 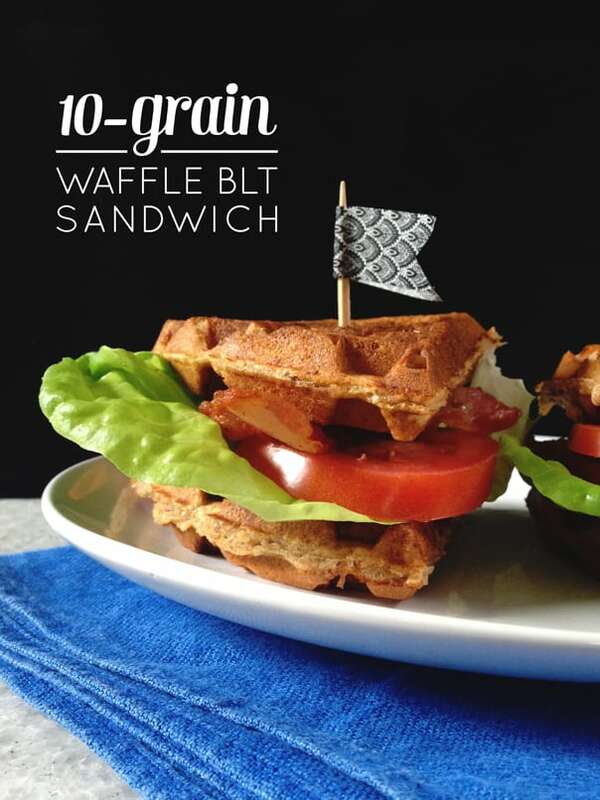 This 10-Grain Waffle BLT Sandwich is the sweet and salty sandwich dreams are made of. Breakfast for dinner was the height of awesomeness when I was a kid, and I know I would have loved it if my family ate waffle sandwiches for dinner. Sandwiches in general should take place on waffles from now on, don’t you think? Fire up that waffle iron. Cook up your best bacon. Slice a tomato and wash some lettuce. Whip up a whole-grain waffle batter using Bob’s Red Mill’s 10-Grain Hot Cereal. Put it all together and enjoy a breakfast for dinner that champions don’t even know they want yet. It’s been a great month of collaborating with some awesome food bloggers from all over the country for Hot Breakfast Month. 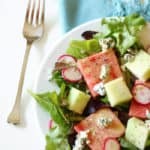 Be sure to check out all of our recipes over on Pinterest! 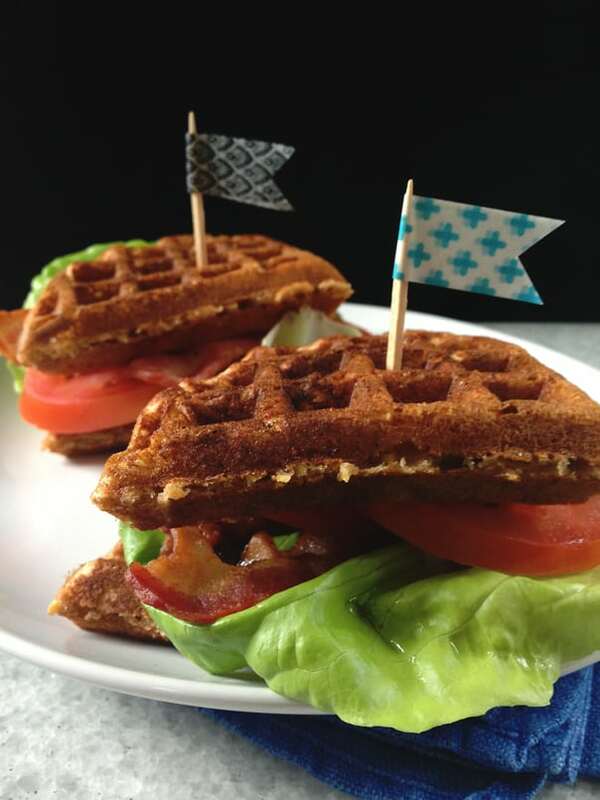 Click below for the 10-Grain Waffle BLT Sandwiches recipe! 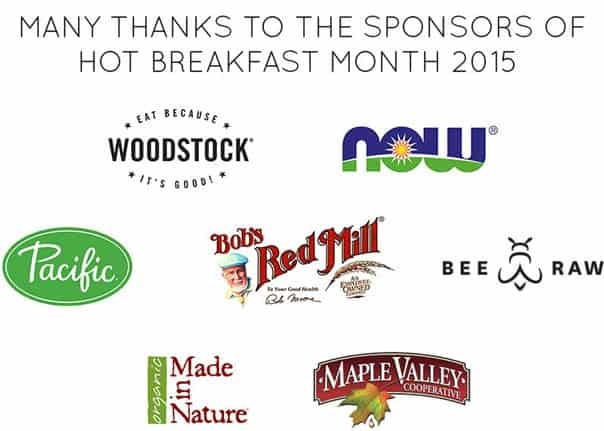 Be sure to check out my Hot Breakfast Month partners and their amazing recipes. We’ll be using the hashtag #hotforbreakfast on social media. Soak the hot cereal in 1/2 cup milk. Allow to rest while you prepare the waffle batter. In a mixing bowl, beat eggs. Add in the remaining 1/2 cup milk and the oil or butter. Add honey or brown sugar, if desired for sweeter waffles. Add soaked hot cereal and the rest of the dry ingredients. Grease waffle iron and prepare waffles until each is golden brown. 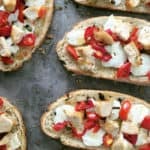 Warm in 200-degree oven if not eating right away. 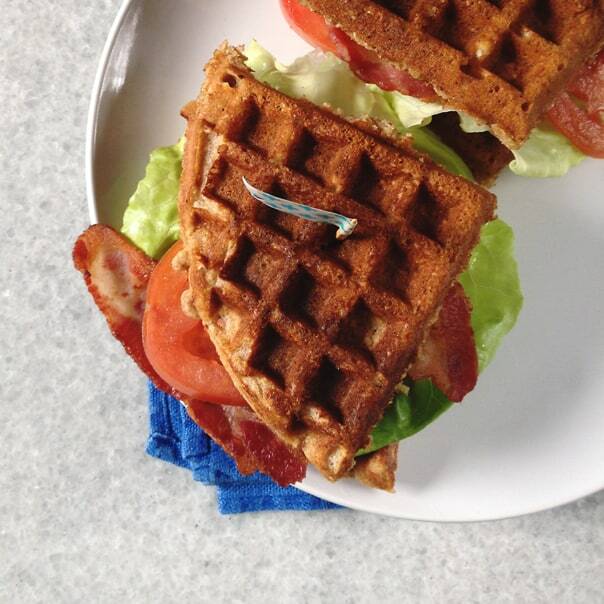 To make sandwiches, layer bacon, lettuce and tomato and any other desired ingredients between two waffles. I’ve never had a waffle sandwich, but it’s apparent to me that I should… and I should… soon! I love me a good BLT sandwich, and I can imagine it’s just even more decadent and wonderful on a 10-grain waffle! That party you went to sounds super awesome. My housemates in university and I would *definitely* done something similar! Also, that BLT looks super delicious. 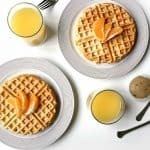 I love whole grain waffles, they get so nice and crunchy and awesome! That sounds like a fun party and I’d love to be your guest. Have fun in FBF…I missed the deadline and couldn’t find an empty seat. Hopefully next year! You list adding milk twice…but it only appears once in the ingredients. I added an additional 1/2 cup. 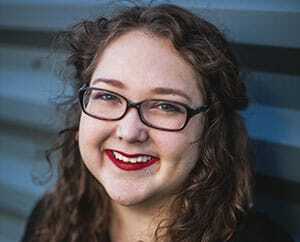 Hey AnnMarie! So sorry about that. That’s exactly what you should have done. I have updated the recipe to make that more clear. Thank you for the heads up!